Why it’s important to determine your content marketing customer acquisition cost and a detailed guide on how to find yours. Content marketing is a long-term investment in your business growth, but that doesn’t mean you shouldn’t be tracking the results it produces as frequently as you track paid acquisition channels. In this article, we give you the framework you’ll need to accurately define your content marketing customer acquisition cost (CAC). 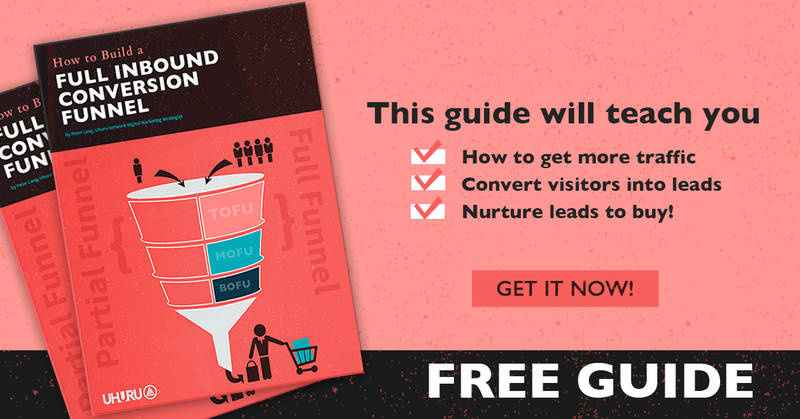 If you’re looking for an expert’s guide to tracking your content marketing customer acquisition cost, you’ve found it. Disclaimer: CAC or Marketing CoCA can, and should, get more sophisticated as your marketing organization grows – use this resource as a starting point. As content marketers, reporting the exact results of our efforts can be difficult. While it’s less difficult to recognize that the content you create is likely driving customer acquisition, without a clear understanding of the cost of our activities, executive buy-in and subsequent budget acquisition can be a hurdle. With a clear picture of your content marketing CAC, you can determine whether your results are worthy of additional investment, AND you’re able to showcase your results to the executives to get the buy-in you need with accurately calculated reporting. Your detailed understanding of how your content marketing is impacting your company’s overall growth can mean the difference between scaling up your organization’s content marketing program (and budget!) and needing to restructure your team’s approach altogether. As an executive, it’s your responsibility to understand the impact your marketing is having on your bottom line. Is your content marketing driving the results your marketing team projected? If so, is it worthy of a greater investment to drive further growth? Why should you optimize your content marketing program to make the most of that investment? How long will the content marketing investment take to yield measurable returns? If not, what steps need to be taken to bring your content marketing program up to speed? How will you go about doing so? Do you need to put more of your marketing budget behind a sophisticated tracking platform? Your marketing team’s time and money are fuel for growth, and wasting either or both is only holding back your rate of progress. As you can imagine, an accurate representation of your CAC will help you to determine where your content marketing program should be heading. At minimum, you’ll know whether or not it’s profitable, salvageable, or in need of a complete overhaul. What is a “Good” CAC? Every business is going to have a different idea of what a positive content marketing customer acquisition cost looks like. Typically, your CAC revolves around the lifetime value of the individual customer. On the surface, your CAC is “good” if it’s less than your CLTV (customer lifetime value). However, when factoring in all of the other costs of doing business, it’s up to you to decide whether or not it’s truly worth it. There are a lot of ways to acquire new customers, and if you’re putting resources behind a content marketing program with a sub-par return, consider whether or not your content marketing is worthy of the time and money being invested into it. It’s up to your internal economics to help you understand whether or not your CAC is “good,” or if you should be looking to optimize, restructure, or scrap the program altogether. At Uhuru, we are major proponents for well-executed content marketing. However, as content becomes more saturated and more brands are creating higher quality content than ever before, the space is becoming more competitive. Content marketers need to be at the top of their game to deliver the positive impact many brands expect from their teams. There are good content marketing teams and there are those that produce content just to feel like they are participating in the content game. Don’t let your team be a part of the latter. Another factor used to determine a positive content marketing customer acquisition cost for recurring revenue models (for example, in SaaS Marketing, or subscription box marketing) is the number of months of revenue necessary to recoup the CAC investment. Again, the number of months that define a CAC as “good” or “bad” varies. For some smaller B2C businesses, the cost to acquire a new customer may only be worthy of a few months of their customer-generated revenue, where larger enterprises may be able to justify a year or more to acquire a more valuable new business. Recurring revenue (Annual Recurring Revenue or Monthly Recurring Revenue) businesses need to have an accurate understanding of their churn rate and true CLTV before they define and put constraints on a CAC. It’s especially important for recurring revenue business models to understand the difference between customer acquisition cost—CAC—and cost per acquisition—CPA. CAC is the cost to acquire a paying customer. CPA is the cost to acquire a lead, trialist, registered user, or any similar level of conversion made prior to becoming a paid customer. For the purpose of this article, we’re not focusing on the cost for these figures. We just want to get clear on the cost to acquire a paying customer via content marketing. Be sure to define the differences in paid vs. unpaid, especially if you offer a freemium version of your product. Otherwise, it’s easy for your understanding of content marketing’s effect on your bottom line to become a bit hazy. Now that we’re all on the same page about why we should be calculating our content marketing customer acquisition cost and the figures you’ll need to understand to determine a positive or negative CAC, let’s dive in. Let’s look at how you’ll determine the overall cost of your content marketing, if operating in house. Your greatest in-house content production expenses will inevitably be the salaries of your team. Whether you have a dedicated copywriter or multiple contributors on your team, you should be able to determine the percentage of their salaries that contribute to the overall cost of content based on the time they spend creating content. The numbers are meant to keep things easy to understand and don’t necessarily represent an accurate portrayal of salaries and costs per article, but you get the picture. Determine who on your team contributes and how much of their salaried time is spent creating content to get this figure. Expert’s Tip: Track your employee’s time with Toggl. That way you’ll be able to determine exactly how much time each contributor has into the production of your content. There will be no estimation or rounding, just exact figures to tell you just how much employee salary went into the production of each article. At Uhuru, we use Toggl to track each task we work on. We can tell you exactly how much of each team member’s time went into a specific weekly activity, their projects for the entire month, or for every marketing campaign over the past year. Additional costs could come in the form of outsourced activities: writers, design and creative support, promotional costs (ads), etc. Each of these costs should have a fairly standard baseline. For example, if your outsourced designer regularly takes 4 hours to create the multiple graphics featured in each of your long-form blog posts, create an average cost per blog post/article in order to set a standard for each cost you’ll be tallying. Sure, you may spend more on creating and promoting pillar content than you would on a run-of-the-mill blog post, but you can average that cost based on the content production cadence. If you have a full-time creative on your team (or multiple), you may be better served to combine this cost with the salaries as described in the section above. Finally, we come to what may be the easiest expense to calculate. These are the tools you use to write, create graphics, publish, promote, and manage your content. These tools (mostly software) will typically have a recurring cost each month. Add them together to get your monthly technology spend and divide by the number of articles to get your cost per article. These tools generally represent a significantly smaller financial investment than the items in the other two categories (people) and can save you a lot of time and money automating or systematizing your marketing organization. Once you have your total, you’re one step closer to determining your content marketing customer acquisition cost. Simply divide your costs by the number of customers generated from your content marketing efforts. Not sure how to determine how many of your customers were generated by your content? In order to accurately measure your content CAC, you’ll need to be able to track things like traffic and conversions on your website. One of the reasons we, and many of our clients, use HubSpot is because it makes it so easy for us to accurately track the conversion paths of our leads and clients. A closed-loop reporting system makes it much easier to see how your content marketing is affecting your bottom line. HubSpot allows you to see exactly how much traffic was generated by content produced during a certain time frame, the leads that came from that traffic, and the customers it eventually generated. It tracks their first interaction with a piece of content all the way to a closed sale, eliminating the need for complicated (and sometimes messy) alternatives to tracking content marketing customer acquisition over a particular date range. Typically CAC is reported on a monthly basis, but as you know the timeline over which content ranks and begins to convert traffic into buyers varies. The way people interact with content isn’t as straightforward as it is in paid acquisition. The timeline over which people become leads and convert into paying customers varies greatly by industry as well. As you can imagine, without a sophisticated marketing automation software, like HubSpot, it can become difficult to accurately track your CAC when you begin to factor in these variables. Not at all impossible, but more complex. With software like HubSpot you can also gain valuable insights into your buyer’s journey. You may be creating content for a buyer’s journey that looks very different to the one your customers actually take. Not only will you be able to determine how much revenue each piece of content is generating, you’ll be able to optimize your content’s ability to convert more customers, lowering your CAC and removing roadblocks and sticking points that you otherwise may not have known existed. Once you’ve determined exactly how you’ll track your point-of-sale conversion, you’ll be able to define your CAC more easily. Once you’ve determined the number of customers generated by the content produced during that time, you’ll simply need to divide your content production cost by the number of customers generated. Now, is that a “good” (content marketing) CAC? Remember, it all comes down to your internal economics and how much your customer is really worth. If you stand to make 3-4 times that amount, you may decide that it falls in the “good” category. If you only stand to make 1-2 times that amount and you have a high churn rate, you may decide that you need to optimize your content production costs and the results your content marketing is producing in order to justify the budget being allocated. There are a few things you should consider that could change/impact your Content Marketing CAC. If you’re not sure how search engines work, get a refresher ASAP. Because it can take months for your content to rank well in Google, it’s important to set expectations around its results differently. Whereas in paid acquisition you may be able to paint a clear picture of X dollars spent and X customers acquired during in a 30-day period, content marketing should be viewed differently. Rather than reporting the number of customers acquired from your content marketing that was produced in the same month, you might want to consider tracking the results generated by the content over a 6-month period, then break it down month by month. As content marketing represents an investment in your business’ growth, it can’t be viewed in the same way as paid acquisition, and certainly can’t be held to the same results timeline. Instead, when reporting on your content marketing customer acquistion cost, structure your reports around your content’s lifecycle. If you know that your content typically doesn’t begin to rank (generate results) in the first 3 months, begin reporting on the CAC of that content between 3-12 months. Reporting on the steady progression of your content’s ability will make a much better case for its success. While reporting may not be necessary right off the bat, it’s important to track all content from Day 1, especially if you’re putting budget behind paid promotion. If you have an effective way to promote your content and you’re able to generate results from the day it’s published, you’re doing things correctly. You’ll still need to track your content over the long term, but you’ll also need to understand how that paid content promotion or amplification generates the traffic, leads, and customers. You’ll also want to track the level at which a particular piece is promoted and the rate at which that social component factors into its organic rankings. Content doesn’t have a defined shelf life. Evergreen articles may rank for several years, dramatically decreasing your content marketing customer acquisition cost. The trouble comes when trying to account for this future value today. One of the best ways to report on this long-term value is to look at the CAC for some of your oldest content. If you can define an average long-term result for each piece, you can extrapolate that data to your current content (given you’re continuing to produce similar articles to the ones you’re measuring). While B2C verticals typically have very short sales cycles, B2B enterprises may find their sales cycles last months. Sales cycle adds a new dynamic to tracking your content marketing customer acquisition cost. This is yet another reason to use sophisticated marketing software that is integrated with your CRM or ecommerce to track your entire inbound and sales funnels. Without this level of detailed tracking, it may be difficult to track a customer conversion back through a 9-month sales cycle and the preceding 3-month marketing cycle. While your content marketing CAC and content marketing ROI both serve to define whether or not your content marketing initiatives were successful, they represent two very different metrics. Your CAC is the cost to acquire a new customer. Its value is inherently dependant on how much you can spend to convert a customer, often limited by budget. Your ROI is the amount spent on content marketing versus the amount generated by that marketing spend. Its value is directly tied to your bottom line. Marketers and executives alike will need a clear understanding of each figure to fully understand the implications of their content marketing actions. While the intricacies of accurately determining your content marketing ROI may be beyond the scope of this article, let’s look at key points that will help you to fully understand the success of your content marketing program in the long term. We mentioned above that your content will continue to rank over a much longer period than you may be using to calculate your CAC. What we didn’t mention was that your traffic will tend to increase along the way. As your content continues to be deemed by its readers as relevant to their search queries (by on-page actions), Google will often continue to bump its placement in its rankings. This may take several months or even years, but a jump from the 5th spot to the 2nd or 3rd could make for a considerable increase in traffic. Considering that you could stand to double the traffic generated by an article from one year to the next, both your ROI and CAC will significantly decrease as the collective repository of published articles follows this trend. This is when it becomes especially valuable to have a closed-loop reporting system in place. Understanding the overall traffic, leads, and customers generated by your content over several months or years can give you a more accurate insight into the true power of effective content marketing, or make the case for necessary improvements. The example above is a simple and straightforward way to define a general content marketing CAC that will help you to understand whether or not your content marketing is producing the results you are after. Whether you’ve deemed your content marketing CAC “good” or “bad,” at Uhuru, we believe that marketing can and should always be optimized to deliver better results. In order make the most of your optimization activities, let’s look at some of the variables that may shift your CAC dramatically, and those that will have less of an impact, so you can better understand where to begin making changes. The traffic generated by your blog posts can have a major effect on the cost to acquire each customer. If you’re paying $5,000/month to produce content that generates 20,000 monthly visitors, optimizing your content around generating higher traffic—say 40,000 MV—could essentially cut your CAC in half, if you can maintain the same conversion rates. In the same way that doubling your traffic could halve your CAC, improving on poor conversion rates could make all the difference, especially if your traffic is good compared to your industry and competitors. Bringing your overall website visitor to customer conversion rates from 2% to 4% may represent a much easier challenge than attempting to substantially grow your traffic numbers. Promotion costs don’t tend to have the same effect on CAC. If your paid promotion is driving significant traffic, consider scaling your promotion efforts to see if the traffic it generates scales at a similar rate. Like promotion costs, the additional costs of freelancers, creatives, and technology doesn’t tend to have a dramatic impact on CAC. Scaling up your team’s technology to make them more efficient may be well worth the investment if it means they’re able to produce more results in less time. As we discussed earlier in the article, salaries (people) tend to be the most expensive component of the content production process. Salaries remain largely the same, while the results they deliver may vary greatly from month to month. Optimizing your team’s production may be one of the best ways to optimize the results of your content marketing and reduce/improve your CAC. Yes, we said it. When content marketing is coupled with outbound sales teams it can dramatically increase the return and decrease the time of return on your content marketing investment. Sales reps can and should be using your content resources to answer the objections and questions prospects have during the sales process. Use your content to help your reps close more deals and realize an immediate impact from content marketing (and blowing up all our work to calculate a specific content marketing CAC). Content marketing is, and will continue to be, an excellent way to generate traffic, leads, and customers. However, because it can be more difficult to understand the customer acquisition cost of content marketing, many marketers and executives don’t report on it accurately (if at all). You now have the resources to determine exactly what the cost of customer acquisition looks like for your content marketing program and a variety of ways to optimize its results. Don’t settle for producing content just to play in the content marketing game. Instead, turn your content production program into a well-oiled machine that continually delivers optimal results and decrease CAC.